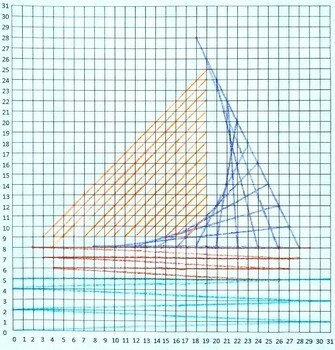 Students will use coordinates to create a string art of a sail boat. Page 1, the coordinate grid should be glued on the back of a piece of poster paper to give the paper some stability. Page 2 has the directions. Each student only needs a third of the page to complete their artwork. It is best if they cross of their coordinates as they go so they don't get lost. I also give my kids a push pin to poke a hole first, because my needles are quite dull. This works with colored string, or a thin yarn.